When Chloe and Sae asked 20 of their closest family and friends to fly around the world to Mexico for their wedding at Sanara Tulum, they knew they had to make it worth their while! The couple relied on the local expertise of Diana Romo Weddings to bring the couple’s beach wedding dreams to life and create an unforgettable experience for all their guests. With a ceremony on the beach featuring a stunning display of tropical greenery designed by Maria Limón and a cozy reception at the venue’s open-air restaurant that featured lounge seating areas, elegant tablescapes, healthy food options, and mini bottles of Patron for each guest, we think they nailed it! Photographer Melissa Marshall had a plethora of beautiful photo spots to choose from and made use of every single one, from the waterfront bar to the tropical jungle to the modern interior of the resort. Sanara Tulum was the perfect place for a small group. Not many hotels could accommodate only 20 guests and our budget could not cover other larger venues that required at least 60-70 guests. Most hotels are only available when the entire hotel was reserved, but Sanara Tulum allowed us to reserve a part of spaces to accommodate our budget. Plus, it had a refined contemporary design that was balanced with tropical jungle surroundings. If you plan a destination wedding in Tulum, we highly recommend you find the venue first thing! It’s not easy because you won’t see the spot in person unless you are from the area, so you’ll have to research extensively. Once you have the venue booked, ask if they can refer a wedding planner. That was how we found Diana’s team! Her team had planned plenty of wedding experiences, and they provided us with useful information throughout the entire process. It is never easy to plan a wedding without a planner, but especially when you plan a destination wedding. We were very lucky to work with Diana’s team! Our guests were the most important part of planning our wedding. We kept it very small for close friends and families and they came from all around the world. We understand that it is not easy to fly around the world for a 1-day event. We truly appreciated that they all joined us in Mexico! Congratulations to Chloe and Sae, and a big thanks to photographer Melissa Marshall for sharing this sophisticated Sanara Tulum wedding with Junebug! Thinking of having a destination wedding? Make sure you read our insights on what nobody tells you about planning a destination wedding before getting started! We recently got engaged and we want to have our wedding in Tulum or Cancun. We live in LA and as you can imagine planning can be a little tricky. We are coming to visit August 12-19 to check out venues. How much do charge for your services? Thanks for writing! 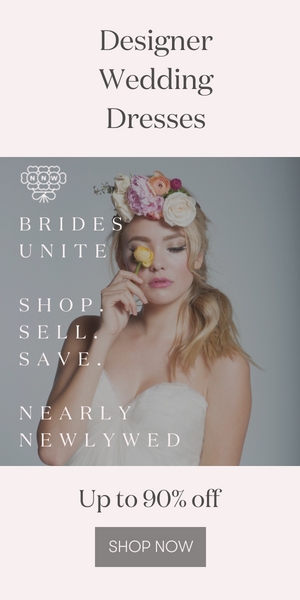 We don’t actually provide wedding services, but you can get in touch with any of the vendors involved in this wedding via the vendor credits listed at the end of the post!